Brazilian giants, São Paulo have signed a five year kit deal with American brand Under Armour according to Brazilian media outlets. The contract will begin in May of 2015 when São Paulo will stop using Penalty and make the change over. Their current deal ends at that point, so they will be using Penalty for half the season and Under Armour for the other half. It reported that São Paulo will be receiving 22M Euros for the five year deal with Under Armour. The deal covers all merchandise and gear worn by all São Paulo teams, even the youth academy squads. With this deal Under Armour takes a step into the Brazilian market, something that they have wanted to do for some time now. This was not an easy deal for Under Armour that saw in Puma their major competitor to land the São Paulo agreement. Earlier in the year it was also rumored that Santos FC may sign with Under Armour but that agreement never came to fruition. 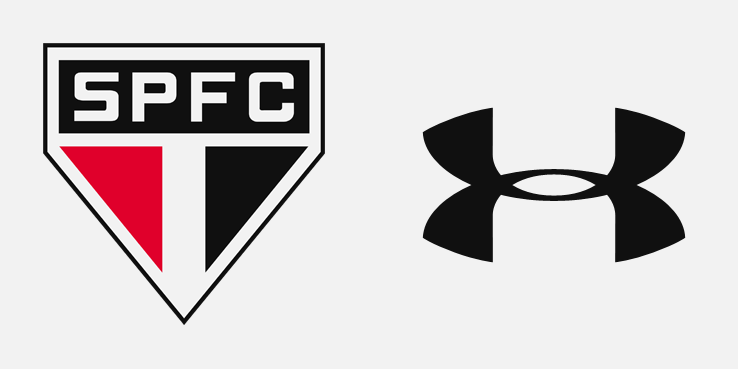 Some of São Paulo biggest stars will also be making a move to Under Armour. Players like Fabiano will start to wear Under Armour cleats in the very near future.